When fire, smoke, or water damage your home or business, speed is essential to minimize further damage. To restore your home or business to its pre-crisis condition – and avoid costly mistakes – it's just as critical to select the most qualified professionals. As the leader in the restoration and cleaning services industry for more than 49 years, ServiceMaster Anytime is committed to maintaining the highest business, ethical, and quality standards. Does your carpet look dull and dirty? Are you looking for professionals to schedule your carpet cleaning? 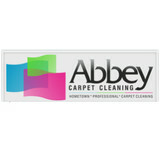 Look no further than Abbey Carpet Cleaning in Nipomo, CA. We have been offering specialized, excellent quality carpet and upholstery cleaning services to the entire central coast of California, including the 5-Cities area, San Luis Obispo, Santa Ynez, Santa Maria and the surrounding areas since 1998. 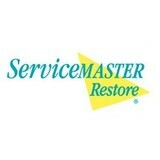 We also provide prompt, reliable stain removal services for both residential and commercial customers. Family owned and operated, coupled with 30 years of cleaning experience we are your go to source for all of your cleaning needs. The people at ColorWorks realize that the growing environmental concerns that we are faced with today are a big issue. One that our children will face if we do not stand strong and support change today. ColorWorks is committed and driven to follow the recommendation and to be in full compliance with the Goleta WaterBoard with proper discharge of our waste water, we strive to find the greener of products that contain safer and more sustainable ingredients and fewer VOC's (volatile organic compounds) in addition we use treated soft water as this will help minimize product use. Absolute Carpet Care is a locally owned and operated environmentally-friendly carpet cleaning service in Santa Barbara, California. Founded in 2005, our carpet cleaners and technicians provide the highest quality carpet cleaning. 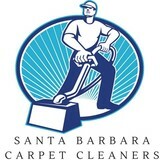 We offer stone and tile cleaning and upholstery cleaning services in Santa Barbara with coupon prices. Our carpet cleaning technicians are professional and highly trained in carpet cleaning and carpet restoration services. All of our cleaners can be trusted to provide the highest quality carpet cleaning services for your home or business. 24 years of experience in Santa Barbara, Goleta and Carpinteria. Owner operated full service cleaning company. With 27 years of experience I can clean anything that needs to be cleaned in your house. Let me know how I can best serve you! It all began in the summer of '69. I had just graduated from UCSB and needed a job. A friend told me about a guy who was looking for help cleaning carpets in Isla Vista. Boy, did I see some dirty carpets out there! That summer I bought his small business and began cleaning Santa Barbara carpets out of the trunk of my '52 Chevy. To attract new business, I advertised that I'd clean any size living room, dining room and hallway for just $39.90. That was a great deal, even in 1969! I'll never forget the day a nice lady in Hope Ranch responded to my ad and ushered me into her living room. Her living room stretched as far as the eye could see. "You did say any size living room, didn't you?" It was two long days and several blisters before I finally received a well-deserved check for $39.90. By keeping my promise, I won a loyal customer who still sends her friends our way. I may have learned more that day than I did in four years of college. I was beginning to learn the meaning of integrity, which has been the foundation of my business ever since. Now, when I run into customers on State Street or in a restaurant, it feels great to get a warm smile and sincere handshake. When you treat a customer like a friend, the work's a lot more rewarding and the years just fly by. 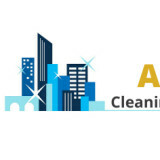 Kelly Cleaning provides professional janitorial services, commercial cleaning, air duct cleaning, medical facility cleaning, floor cleaning, carpet cleaning, natural stone cleaning, and other assorted cleaning services to customers in Ventura County. Our cleaning staff is highly experienced and enjoys completing each project at the highest level of quality. On each project, we focus on cleaning down to the finest detail, following any special instructions from the customer, and always leaving each job amazingly clean. We love when things are perfectly clean, and we insist on getting each job perfect, which we why we have our own line of specially made cleaning products at the Kelly Tech Center. Between quality focused staff, environmentally safe custom cleaning products, and an arsenal of equipment to handle any task, we're the best resource in Ventura County for all your janitorial, commercial cleaning, and specialty cleaning needs. We guarantee quality on every service we provide, and we've served thousands of satisfied customers in Ventura and Santa Barbara counties. Request a free quote for any cleaning service. What should I look for in a local Mission Canyon carpet cleaner? Not all Mission Canyon carpet cleaning companies use the same methods, but there are a few common things that they should do to for a quality job. Make sure they do an analysis on the area you need cleaned and recommend the best course of action — are there large stains or high-traffic areas that need extra treatment or attention? Also, make sure they provide quick drying times so that you can be back in your home faster; that means hours, not days! A good carpet cleaning service in Mission Canyon, CA should move furniture (within reason) and put it back in place when they are all done; don't let them charge extra to do this. Another important factor to look out for is whether or not the carpet cleaners use chemicals, and if so, they should be asthma- and allergy-friendly. This is especially important for households that have children or pets. Lots of Mission Canyon carpet cleaning services also clean rugs. Rug cleaning can involve anything from a simple wash to complete re-weaving or foundation work. Make sure the local rug cleaner you choose has experience with the types of rugs you need serviced, especially if they are hand-woven or Oriental rugs. What should I look for in a local Mission Canyon upholstery cleaner? Upholstery comes in many more varieties than carpet and rugs, thus needs cleaning tailored to each specific blend. Even if you don’t know what material your sofa or chair is made with, a good upholstery cleaning service in Mission Canyon, CA will be able to identify it and treat it appropriately. Some textiles require dry cleaning and that can’t be done in home, so if that’s the case, check with the upholstery cleaner and see if they offer pickup and drop off services. Leather cleaning is a bit different and often involves more restoration and conditioning than actual cleaning. Make sure the Mission Canyon furniture cleaning service specializes in leather if you are considering them for the job. Find Mission Canyon upholstery and carpet cleaning services on Houzz. Narrow your search in the Professionals section of the website to local carpet cleaners in Mission Canyon, CA and read reviews and ratings to find one that fits your needs.